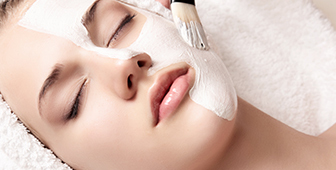 Treat Yourself to Head-to-Toe Esthetics Services At The Head Shoppe! Relaxation is as close as your nearest Head Shoppe location. Let our talented team of estheticians spoil you with our range of indulgent treatments. 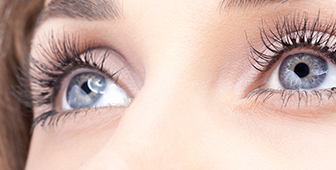 Schedule an appointment with our experienced estheticians to enhance your eyes with eyelash extensions or brow tinting, relax with facials and skin treatments, keep your hands and feet looking their best with a manicure and pedicure, and remove any unwanted hair with quick, long-lasting waxing services. At the Head Shoppe, our goal is to deliver a memorable and welcoming experience every time you visit us. You’ll find the spa-like environment at your nearest location relaxing and tranquil, away from the hustle and bustle of everyday life. Take a few moments to savour the peace and quiet, and slow down with a tea or coffee before your appointment. Our experienced estheticians will help you understand how to maintain your look long after you’ve left the salon, including how to keep your skin looking bright and smooth, how to care for your brows and lashes, and how to keep your hands and feet feeling soft and revived. 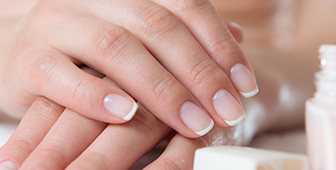 Our estheticians are fully versed in the latest techniques and use a range of premium products, including Dermalogica and OPI, to ensure your treatments help you look great and feel even better. Best of all, you’ll find treatments at the Head Shoppe are as affordable as they are luxurious. With 17 locations to choose from across Nova Scotia and New Brunswick, you’re never far from the Head Shoppe’s talented esthetics team. Book your appointment today!